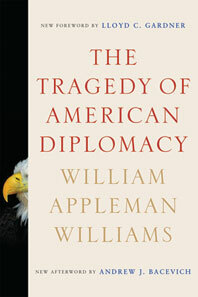 This incisive interpretation of American foreign policy ranks as a classic in American thought. First published in 1959, the book offered an analysis of the wellsprings of American foreign policy that shed light on the tensions of the Cold War and the deeper impulses leading to the American intervention in Vietnam. William Appleman Williams brilliantly explores the ways in which ideology and political economy intertwined over time to propel American expansion and empire in the nineteenth and twentieth centuries. The powerful relevance of Williams’s interpretation to world politics has only been strengthened by recent events in Central Asia and the Persian Gulf. Williams allows us to see that the interests and beliefs that once sent American troops into Texas and California, or Latin America and East Asia, also propelled American forces into Iraq.